2018 has certainly marked a slowdown of the ICOs in favor of the STO. Blockchain technology enables tokenization of various forms of securities and assets and Security Tokens are applicable to almost anything that has value: stocks, real estate, fundraising, futures, credit, bonds and creative products such as music, art, literature and more. But where are Security Tokens exchanged? The currently available cryptocurrency Exchange can not support Security Token trading. More over, most Exchanges do not have the necessary licenses to allow the trading of these securities. The licensed Security Tokens Exchange has begun to emerge to fill this gap and provide liquidity for the Security Token market. Let’s explore together the most important active and incoming Security Tokens platforms. BTF is an investment platform designed for Security Tokens open only to institutional investors. To join the BTF, investors must have an annual income of no less than $ 200,000. BTF is trying to establish itself as an Exchange for Blockchain-based projects that issues Security Tokens: stocks, conventional bonds, futures and other forms of tokenized securities. 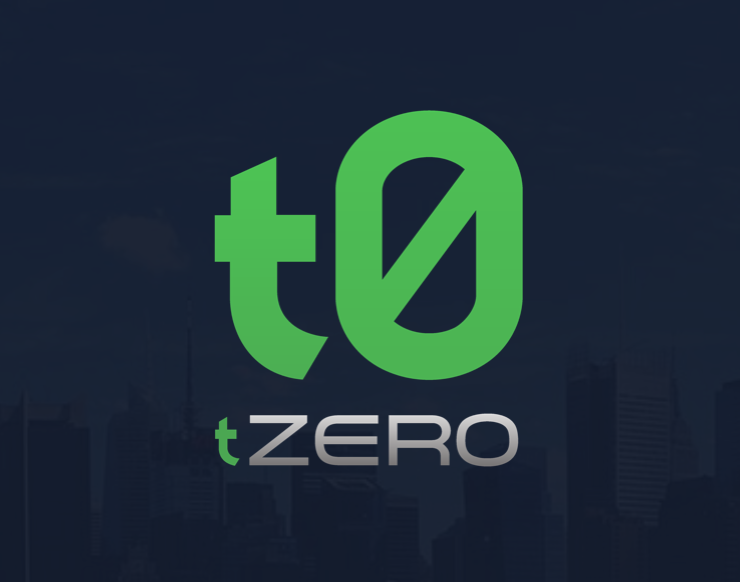 tZero is another security token exchange to consider. It offers an extremely user-friendly and pleasant user interface, in our opinion it’s perhaps the most functional among all the exchanges listed here. tZero has worked with Polymath to simplify the legal process of issuing and negotiating Security Tokens. Polymath has introduced a new token standard based on Ethereum, the ST20, which can only be held by a list of authorized Ethereum wallet addresses. Bancor has innovated the Smart Token protocol making it possible to convert tokens on the network using technology similar to Atomic Swaps. The Bancor protocol is fully compatible with the exchange of Security Tokens and the BNT token will act as a “token bridge” able to mediate the exchange between any pair of Security Tokens. The Gibraltar Stock Exchange (GSX) was the first stock exchange licensed in Gibraltar. In October 2017, the GSX CEO announced the creation of the “Gibraltar Blockchain Exchange” (GBX) with the goal of creating a regulated Utility Token market. Immediately after the announcement of GBX, GSX Group Ltd. confirmed its intention to renew the stock exchange making it the first regulated Security Token Exchange in the world. The delay in the approval by the Commission for Gibraltar Financial Services (GFSC) led to a postponement of the launch until the first quarter of 2019. The launch of the Security Token trading on GBX will mark a great moment for the crypto community: Security Tokens will be recognized by a stock exchange authorized by the EU. Coinbase, the popular cryptocurrency Exchange, is about to enable Security Token trading on its platform. To overcome the issue of authorizations, Coinbase decided to merge with companies that already have the necessary licenses by purchasing three financial institutions: Venovate Marketplace Inc, Keystone Capital Corp and Digital Wealth LLC. Templum is another Exchange of American Security Tokens. Even if the platform is active the final version should be released in 2019. It will allow the exchange of security token in compliance with US SEC rules. In 2009 SharesPost was created to open the door to secondary private equity online markets. Today, SharesPost has over 50,000 accredited investors and has executed more than $ 4 billion worth of transactions for over 200 technology companies. Last May, SharesPost announced its intention to offer Security Token trading on its platform, also opening up to the Asian markets. The Australian Stock Exchange (ASX), announced in 2017 that it was working to become the first stock exchange in the world to develop an infrastructure for its trading platform based on Blockchain technology. ASX plans to use Blockchain technology to replace its clearinghouse structure, known as the Clearing House Electronic Sub-System (CHESS) to provide traders with greater efficiency, security and reliability of the system. ASX plans to launch its Security Token trading platform in March 2021. The Malta Stock Exchange has just signed a series of agreements to allow MSX, the fintech division of the exchange, to launch a trading platform for tokenized securities. MSX has also signed a memorandum of understanding with the Binance cryptocurrency exchange for the launch of a new security token exchange. MSX is working closely with regulators in Malta to comply with Malta’s Financial Services Authority Act. Malta has emerged as a paradise for Blockchain investors so much that in recent years it has been called “Blockchain Island”. SIX Swiss Exchange, the leading Swiss stock exchange, announced last July that it is developing a fully operational trading, settlement and custody platform for security tokens and tokenized securities. The new Exchange project, which has been called “SIX Digital Exchange” (SDX), is intended to be the world’s first end-to-end exchange for tokenised goods markets. SDX will focus on existing conventional securities and other forms of non-bankable assets. In addition, SDX services will include the issuance, listing and trading of Security Tokens. SDX will be fully compliant with the regulations of the Swiss financial regulator FINMA and approved by the Swiss National Bank. The London Stock Exchange, one of the first stock exchanges in the world, last July announced to work with the UK’s leading financial authority, the Financial Conduct Authority (FCA) and with the companies 20 | 30 and Nivaru, for the issue of shares. The shares will be based on Ethereum’s Blockchain and will mainly consist of standard ERC20 tokens. All these security token exchanges and tokenized share trading platforms are just the beginning of a new era that will bring equity markets to a whole new level. Blockchain-based Security Tokens offer traders a myriad of efficiencies and benefits that promote transparency and security. Although a significant proportion of the world’s conventional financial institutions are resisting the use of Blockchain technology, the market has nonetheless started to adapt. More and more people are starting to realize what are the benefits of this technology and the market will certainly continue to move towards a new model based on the tokenisation of resources. © Copyright 2019 Maveric sa. All Rights Reserved - Crafted by Web Agency Lugano - Generated in 0.00203 sec.